Purchase the Kindle version and start reading immediately. Read highlights in the HR Magazine Book Blog. The SHRM Essential Guide to Employment Law presents in simple, straightforward language everything HR professionals, employers, and small business owners need to know about their relationship with their employees to comply with the law and protect themselves and their business from legal action. 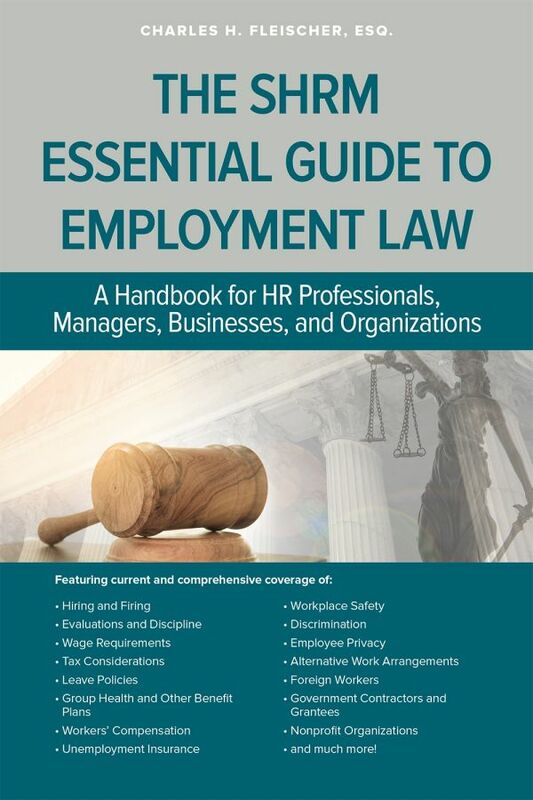 Covering more than 200 workplace law topics, the Essential Guide provides an overview of U.S. workplace laws, regulations, and court decisions that employers, large or small, are likely to face, as well as what pitfalls to anticipate and when to seek professional advice. Each chapter offers general principles, highlights key issues, and provides specific examples and suggestions to help make the employer-employee relationship run more smoothly.